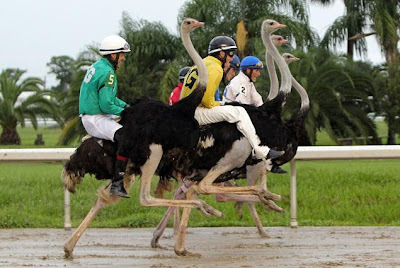 For "something completely different," two weeks of quarter horse racing included a race of ostriches and one of camels. These "racehorses" really stuck their necks out. Ostriches took center stage during the fifth annual Quarter Horse Race at the New Orleans Fair Grounds on Saturday.